Oracle Hyperion SmartView for Office Integration. SmartView is much more powerful than its well-known predecessor, the Hyperion Excel Add-In. 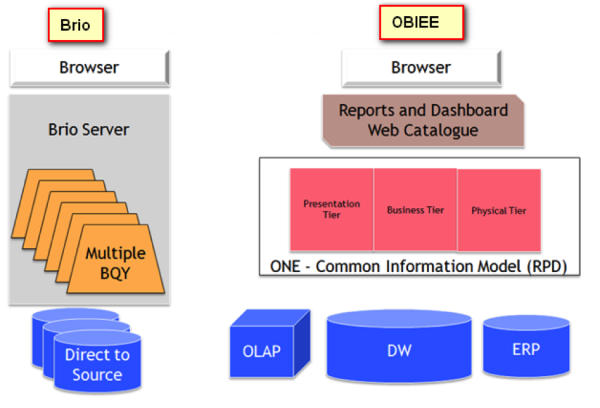 It not only connects to Essbase, Hyperion Planning, and now to Oracle BI EE. The Smart View 11.1.2.2 Add-in replaces the Oracle BI Office Add-in as the primary Office application for Oracle BI Foundation. For benefit of the users, both are still available with OBI 11.1.1.7. Organizations do not have the ability to wait for a data refresh during critical business times like the financial close process & the management of an enterprise's supply chain. 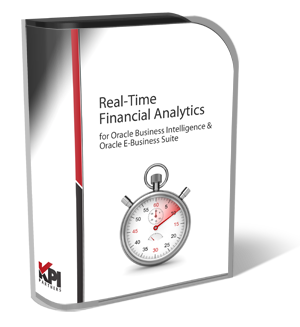 The innovators at KPI Partners have extended the Oracle BI Applications to support real-time analytics. What is Hyperion Interactive Reporting (Brio)? Interactive Reporting was originally developed by Brio Software and distributed under several names including Brio Query, Explorer, Insight and finally Intelligence. In 2003 Hyperion acquired Brio and the product became part of the Hyperion Performance Suite. The Brio software adds an intuitive user interface that supports query, reporting, and alerting capabilities that were lacking in earlier versions of the Hyperion Performance Suite.